For the time being, Russia does not plan to retaliate against the West's "soft sanctions", Andrey Belousov, a senior economic aide to President Vladimir Putin told the Austrian press. "I can say openly that, as of today, we are not preparing countermeasures," Andrey Belousov, Putin’s chief advisor to the EU, told the newspaper Die Press in an interview published on Tuesday. Following the US initiative, the EU has issued two rounds of sanctions against Russia over Ukraine, first targeting politicians, and then banks and businesses. Belousov warned he hoped there would be no more. 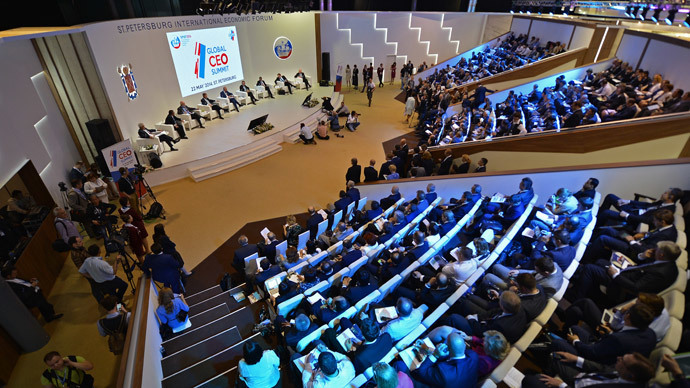 “I hope Europe does not act foolishly with more sanctions,” Belousov said, adding that if the West does make any more moves to restrict Russia’s foreign trade, Russia may appeal to the World Trade Organization. So far, effects from the so-called sanctions have only been punitive, even though many Western governments tried to pressure companies and banks to abandon projects in Russia or cut off financing. "We saw nervousness, not so much at Russian companies, but much more at foreign companies that are working in Russia,” Putin’s former chief economic adviser said. He added foreign companies operating in or doing business with Russia will not be punished over Western-ed sanctions and that Russia hasn't felt any "adverse reactions" thus far. He said he was glad his EU counterpart and EU Trade Commissioner Karl de Gucht is soon leaving his post, as Moscow is not getting along very well with Brussels at present, but instead is seeking more bilateral cooperation with states within Europe. The other effects of the sanctions actually play in Moscow’s favor. The hostile actions of the West have had a unifying effect on the Russian population, which has rallied around the President, and lessened the gap between liberal and non-liberal factions. 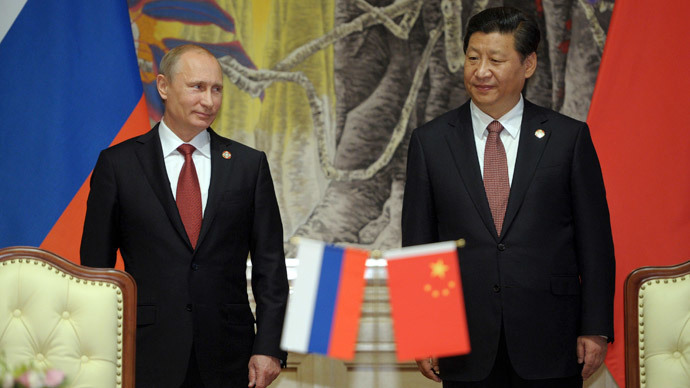 Another effect of sanctions is Russia’s pivot away from Europe towards more active and expanding markets in China and Asia. However, Russia says it is open to continue business on both eastern and western borders. "I did not say this [pivot to Asia, Ed.] will happen at the detriment of cooperation with the West," the aide said. “Our relations with individual EU countries are developing much better than with Brussels,” Belousov said in the interview. Investing in Asian markets will provide the jump-start Russia’s economy needs, which has been slowing in the past year and may not achieve any growth at all this year, according to Economic Minister Aleksey Ulyukaev. 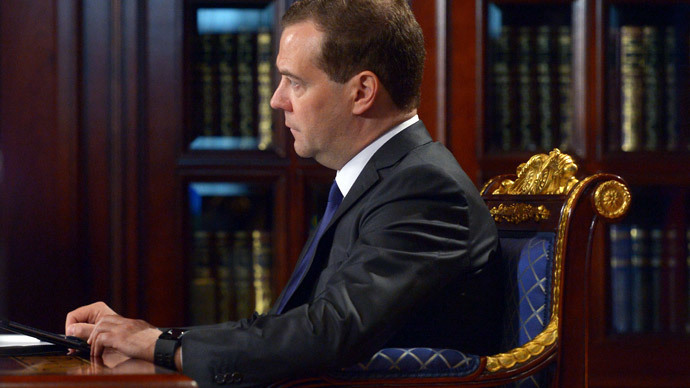 More recently, Russia’s Central Bank estimated that growth in 2014 would be 0.5 percent. After growing at record rates of between 6-8 percent in the early 2000s, the economy was hit hard by the financial crisis in 2008-2009, as demand from Europe, Russia’s biggest trade partner, has dropped. In 2013, growth slowed to 1.3 percent. 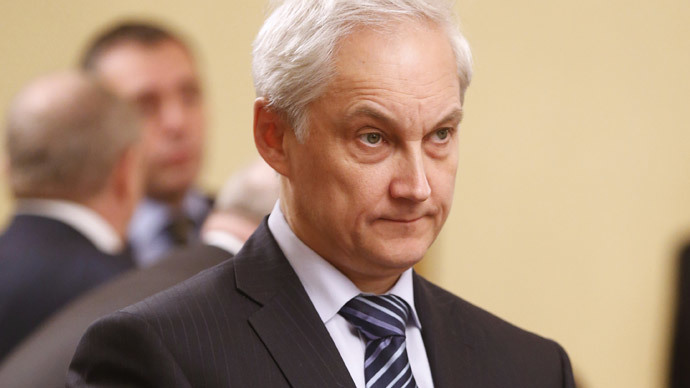 Belousov gave two reasons for Russia’s scuppered growth. The first is cyclical - after a booming investment period in 2010-2011, Russia is now experiencing an "investment break”. The second reason is high lending rates, which the Central Bank and Economic Ministry has pledged to combat, but haven’t yet delivered on.